WASHINGTON, USA (June 29, 2017) – The White House accuses Damascus of planning a poison gas attack and announces harsh consequences. Donald Trump’s government has never threatened Bashar al-Assad in this way. “There are indications that the Syrian government is again preparing a poison gas attack and thus a mass murder of civilians”, said White House Press Secretary Sean Spicer in Washington. “If the government carries out this plan of attack, the Syrian army would pay a high price.” These are sentences that immediately trigger new disputes between Washington and Moscow. The Kremlin denied “the threats against the legitimate Syrian leadership” on Tuesday. According to the White House, the current activities are similar to the one before the attack on 4 April to the village of Khan Sheikhun in the province of Idlib, where at least 87 people died. As a reaction, Trump set off retaliation and thus triggered the first direct military confrontation of the US with the Syrian army. War ships in the Mediterranean fired 59 cruise missiles and hit the Syrian air base Shayrat. According to the US, Shayrat was the airbase from where the jet with the poison gas rocket took off. The French secret service has prepared a comprehensive dossier for the poison gas attack in Khan Sheikhun in April. According to Paris, the facts leave no doubt that the Assad government used the nerve agent “Sarin” against the inhabitants. Damascus denies this and speaks of an “one hundred percent fiction”. 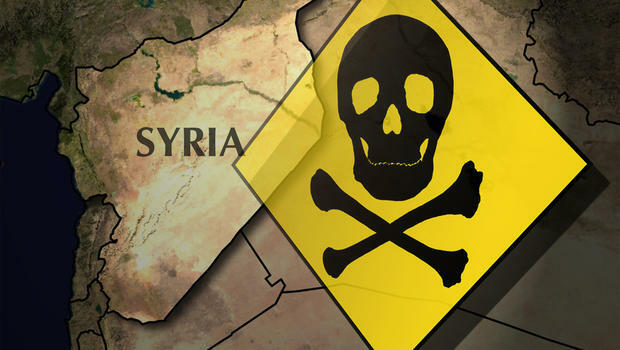 The assertion of the Syrian and Russian government is that chemicals were released after an assault on an armory which contained chemical weapons und belonged to the rebels. 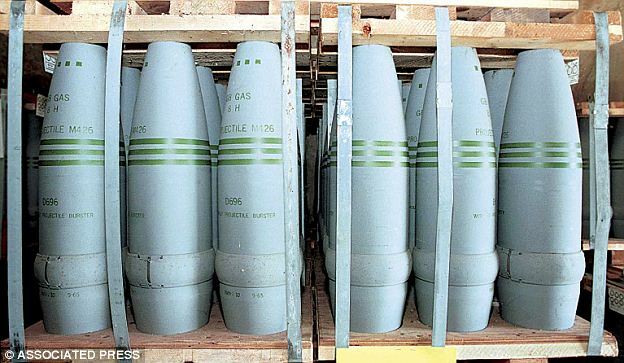 Damascus insists on handing all chemical weapons to the International Control Agency (OPCW) in 2013.